AT&T recently received a waiver from the FCC that allows it to offer Wi-Fi calling even though it can't guarantee TTY transmissions over Wi-Fi. TTY is a service used by the hard of hearing, that allows them to take part in a telephone call through the use of a small QWERTY keyboard and a screen. Because the technology is so old, it does not work well with Wi-Fi. The waiver is required since FCC rules require carriers offering Wi-Fi calling to also offer TTY over Wi-Fi. Now, Verizon has petitioned the FCC, asking the agency to bestow on them the same waiver it gave to AT&T. Sprint and T-Mobile decided just to ignore the requirement about TTY, and went ahead and offered Wi-Fi calling without even asking the FCC for a waiver. The FCC has not seen fit to punish the two operators, while it has given AT&T until December 31st 2017 to offer Wi-Fi calling while a replacement for TTY (called RTT) is being tested. While Verizon did ask for a waiver, its heart and mind lie with Sprint and T-Mobile. In its filing, Big Red wrote "It is Verizon’s position that neither the existing rules nor the AT&T Waiver Order require such a waiver." The nation's largest carrier added that it is asking for one "out of an abundance of caution." The FCC practically invited Verizon to ask for the waiver. When it approved the one for AT&T, the agency wrote that it invited requests from other carriers in a similar situation to AT&T. Verizon also is working on RTT to replace TTY. Assuming that Verizon is granted the same waiver as AT&T did, it too will have until 2017 to replace TTY with RTT. Right now, Verizon offers Wi-Fi calling to iOS users using a special Verizon Messages iOS app. 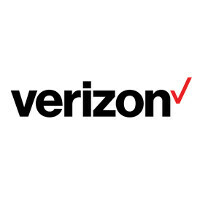 But once the waiver is granted, Verizon will support Wi-Fi calling on iOS and Android devices. With the feature, those in an area with a weak cellular signal will be able to make and take phone calls using a Wi-Fi connection. It'd be great to get WiFi calling going on Verizon. The only place I go that has poor Verizon service is at work, then it is only in the building that I work, and it's not just my phone, everyone on Verizon has issues.